Get in an Accident? No Worries. We're Here to Help! Auto accidents are unexpected and stressful. Even the most careful drivers may be involved. If you are in an accident, stay calm, follow the steps listed below and give us a call. We’ll help alleviate some of the stress that goes along with being in an auto accident and we’ll work with your insurance company and repair your vehicle the right way, every time! If it is clear, safe and legal, move all involved vehicles out of traffic. Turn off the ignition on all vehicles involved. Make a first aid check of all persons involved. Look around to see if anyone is in immediate danger or needs medical assistance. Avoid moving an injured person as it might seriously complicate the injury. Call the police by dialing 911 for assistance and if necessary, have them dispatch emergency medical services. Remove objects from the road that may cause further damage or risk to others. Gather the names of all individuals who were in the vehicles during the accident as well as the people who witnessed the accident. Make a quick diagram of where the vehicle occupants were seated and indicate the direction of travel and occupied road lanes. Also note the date, time, and weather conditions. Look around and gather information from any possible witnesses. Be careful what you say – Do not discuss "fault" or make statements about the accident to anyone but the police. Exchange insurance company information and notify your insurance company immediately. This is important. If it is not convenient to contact your agent, telephone the nearest office. You have the right to choose any collision repair facility to repair your vehicle. Select the shop you feel most comfortable with. Have your vehicle towed directly to the shop of your choice. Towing it to a storage lot can incur additional expense and leave your vehicle vulnerable to theft and vandalism. Mac's Body Shop, Inc. premises are secured to protect your vehicle from further damage. There is no need to obtain more than one estimate. Since you decide who will repair your vehicle, contact that shop for an estimate. There is no law requiring you to get estimates from multiple repair facilities. 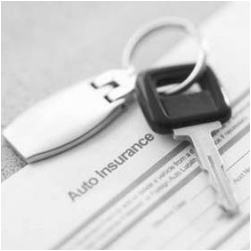 Make sure the shop you select is able to manage the paperwork and negotiations with your insurance company. Mac's Body Shop, Inc. will handle everything on your behalf.